Congratulations to everyone who took part in the Mineral Creek Half Marathon! 14 people toed the start line, and all finished in fine form. Well done to the winners - Alf Swanson on the men's side, Laura Johnston amongst women. 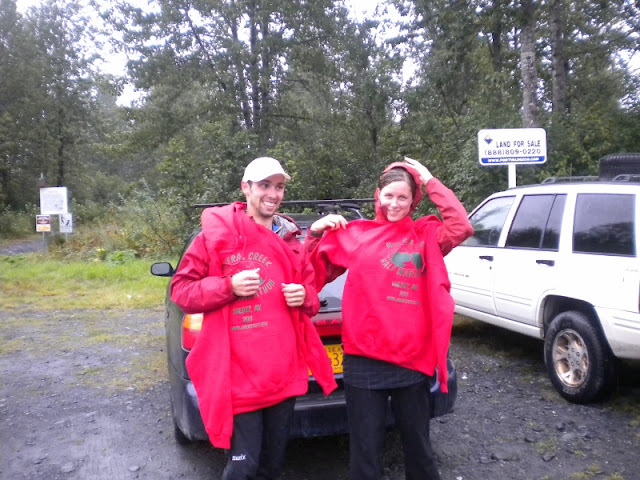 For their efforts they each took home a hoodie and get free entry in next year's race. There was no wind to speak of, but rain varied from light to steady throughout the event. Pictured below are the champs, followed by full results. Join us next August on the Sunday immediately following the Women's Silver Salmon Derby for the 2012 Mineral Creek Half Marathon. Click here for the race information page.